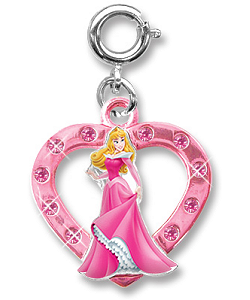 Princess Aurora, also known as Sleeping Beauty, is a delight to her family and this CHARM IT! 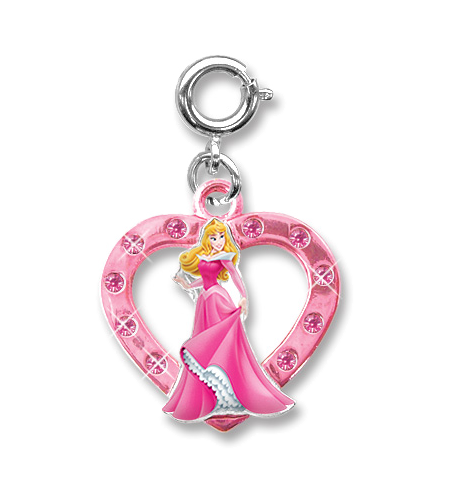 Aurora Heart Charm is sure to show this fun Disney spirit in you. Sparkly pink acrylic stones around the pink heart surround a raised Princess Aurora creating a 3-dimensional effect in this Sleeping Beauty heart charm. With a simple snap of a clasp, girls can personalize their CHARM IT! jewelry with this CHARM IT! Aurora (Sleeping Beauty) Heart charm.